Q: With the deployment of technologies such as WiMAX, do you see these being able to be used to bridge the digital divide – or will they generate a further gap? A: WiMAX is certainly one of the most promising new technologies for connecting under-served regions, which is why ITU was pleased to see it integrated into the IMT-2000 family of 3G wireless standards. Its spectrum allocation in the lower frequency bands makes it very resilient and suitable for carrying data over the long distances needed to provide effective access to rural and remote, under-populated areas. This ability to span long distances also greatly reduces the number of transmitters needed, making it a low cost solution for developing regions. Q: The downturn in the world economy has led to a shrinking of global trade and a stalling of many ICT projects. Do you view the role of UN bodies like ITU as a key facilitator for moving projects forward in the developing world? We should also remember that the ICT industry has created more jobs over the past five years than any other single industrial sector. Demand for mobile telephony services, particularly in developing economies, remains strong, and large emerging markets like Brazil, China, India and Nigeria are still registering good levels of subscriber growth, even if those figures are expected to be lower than in previous years. This is because ICT has not only proved a highly resilient sector in its own right, it has the power to drive economies in other sectors – through e-commerce, e-education, e-health, and e-government. That’s why so many governments around the world have announced ICT infrastructure-based stimulus packages. Many of these focus on broadband, because this is the technology that will empower us to develop more new services, applications and efficiencies. Because ICTs are just as indispensable in the developing world as they are to developed economies, the issue is critical. IPv6 is clearly an important global issue. At ITU we continue support the proactive promotion of IPv6 as the new platform for innovation and business sustainability. It’s clear that we’ll all have to make the move – so we are encouraging those members in a position to do so to embrace this new model and begin the transition now. Q: As you look back over your first term in office, what do you count as your key successes? A: I’m pleased to be able to say there have been many successes. At the internal level, ITU has greatly streamlined its working practices and has more fully embraced the advanced ICT management and online collaboration tools we actively promote to our members. We’re also well on the way to going climate neutral and paperless by our target date of 2012. More broadly, we’re successfully engaging with the crucial issues affecting our planet and the evolving ICT landscape. We’ve met with enormous support for our new ITU Connect events. Part of our ‘Connect the World’ initiative, the first event, ITU Connect Africa, raised an unprecedented US$ 55 billion in investment pledges. We’re not talking here about aid commitments – we’re talking about investment by private enterprise in markets where they are seeking to establish profit-making ventures. I believe the key to development is not hand-outs, but business. That said, government also clearly has a crucial role here in determining the parameters that allow private enterprise to thrive while protecting the needs of consumers in areas like pricing and access. The launch of our Global Cybersecurity Agenda in 2007, and its first practical programme, the Child Online Protection initiative, last year, have also been major achievements. There is a growing and evil scourge of cybercrime, and no nation is safe. In cyberspace, there are no national borders. That means that any country can unwittingly and unwillingly harbour cybercriminals without its knowledge – and with no real power to stop them. It also means that any country can face attack – even the most technologically advanced. It’s clear than an international framework is the only effective approach. To begin to tackle this problem, ITU set up a High Level Experts Group which included the top security experts from leading software and hardware developers, as well as key government decision makers. In 2008 we signed an MoU to establish the first physical home of the GCA at IMPACT in Malaysia, and have already had commitments from over 40 nations to participate in this initiative. The new IMPACT facility comprises the world’s most advanced early warning and response centre for cyberthreats. We’ll be unveiling more news about this with IMPACT at ITU Telecom World. Q: ITU Telecom World is back in Geneva this year. 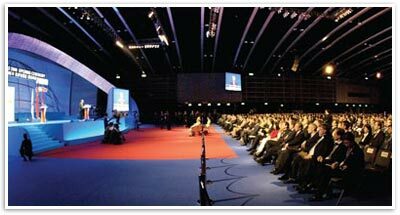 As one of the pre-eminent ICT events, what will be the main highlights of this year’s event? A: It’s fair to say that ITU Telecom events are considered something of a barometer for the ICT industry, and this time, once again, we expect the event to throw the spotlight on the industry’s key challenges and opportunities. UN Secretary-General Ban Ki-moon, together with some 30 Heads of State and Heads of Government, have already confirmed their presence. So have around 500 C-level executives, ministerial representatives, national regulators and other VIP participants, so one of the key highlights this year will certainly be the chance to network with a unique mix of top-level participants. Naturally, the economic crisis will be high on the agenda, and to this end we will host a number of new roundtable debates where Heads of State and government will come together to focus on the role of ICT in economic recovery. We expect these debates to yield significant policy inputs for ongoing ICT development in the years ahead. And as ICT begins to lead the way towards a return to economic health, I expect the show to serve as the platform – as it has so often done – for some groundbreaking deals and announcements. 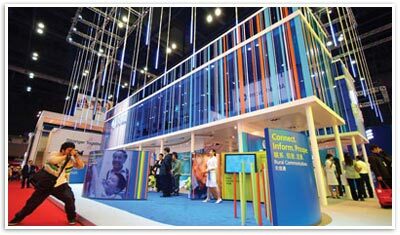 One of the most notable characteristics of ITU Telecom World is its truly global reach. This will be emphasized still further this year through the large number of National and Regional Pavilions, which are helping individual companies cut the cost of exhibiting while providing them with access to the global market’s key decision makers. Of course all ITU Telecom World events are acclaimed technology showcases, and this year’s edition will be no exception. Whether on the show floor or in debates at the Forum, this will be the place where the future of technology will be decided.